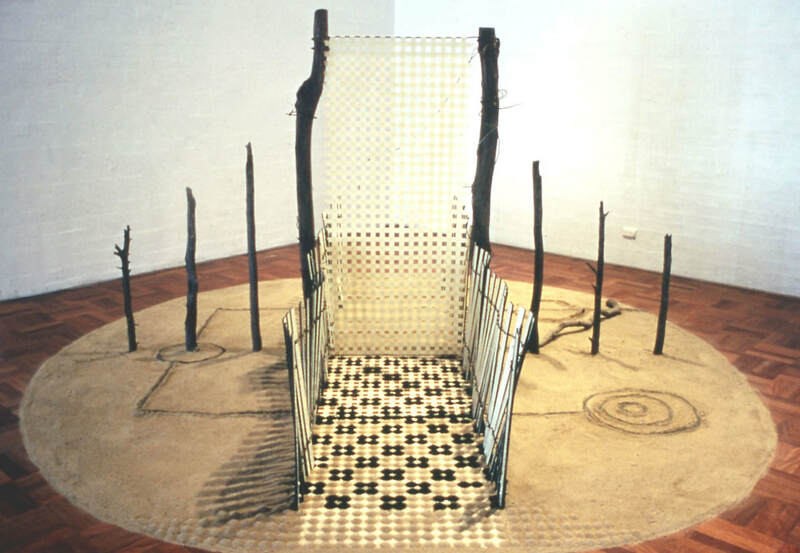 Journeys: These works take various forms and have been made at different times. The common thread between them is their focus on particular experiences of being in landscapes and moving through them. 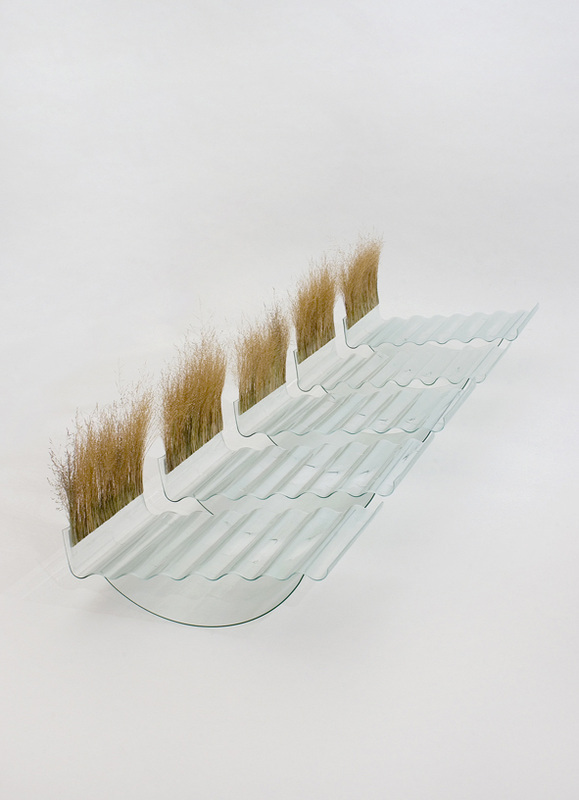 The works aim to capture a fragment of the elemental experience of being in the landscape. There is a strong consideration of space and time as cultural indicators and evidence that a private performance has occurred. 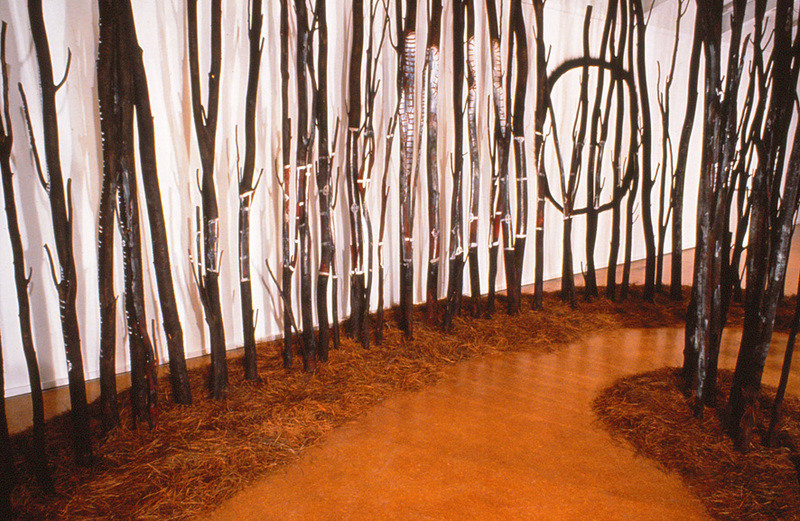 Corridor for One draws inspiration from Japanese Tor-ii and Aboriginal sand painting, a path travelled metaphorically by the viewer is punctuated by gateways and marked by coloured pigments. Cardinal directions, referenced by the gateways are pulled to align with the intention of the traveller. 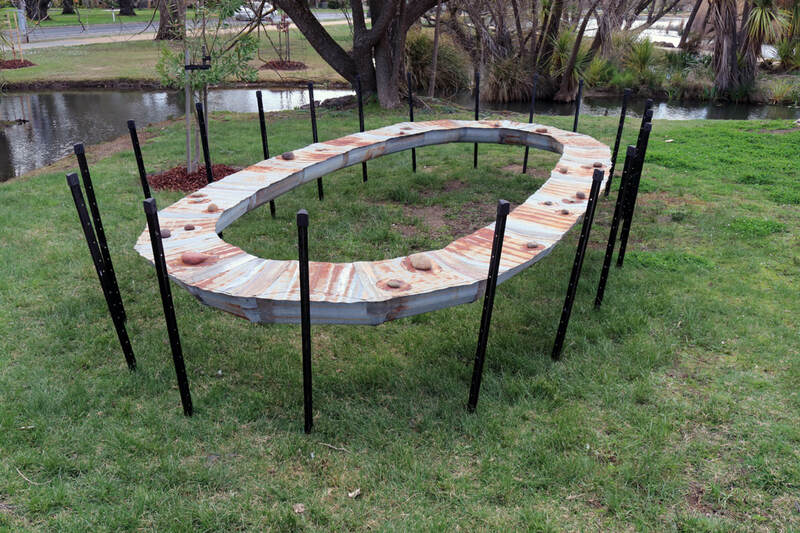 Cycle is an elliptical suspended form made from rusted iron, wire, river stones and star pickets. Its materials and vernacular construction are synonymous with the Australian bush. 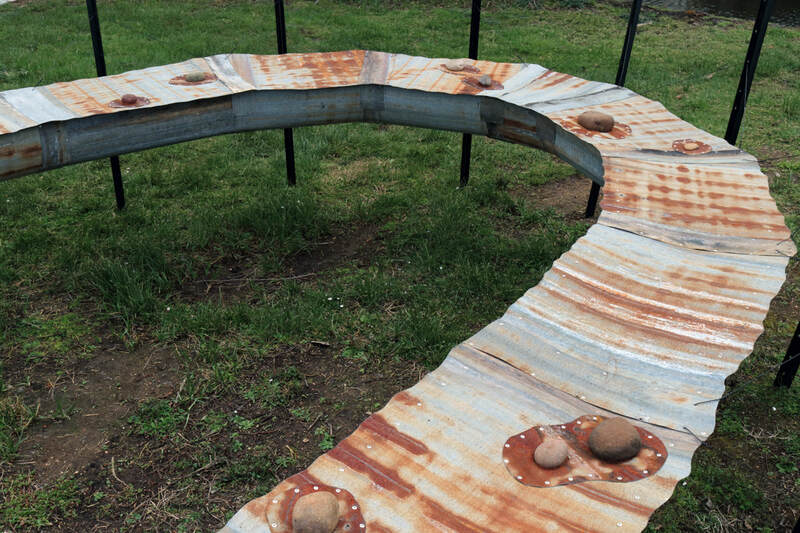 Physically it draws on dry water courses, dusty tracks and fences for inspiration. 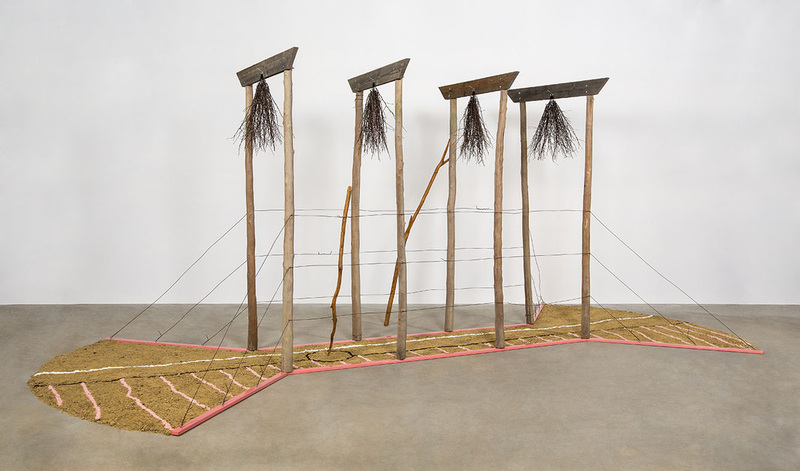 With no apparent end or beginning the work reflects on the endless cycles that define rural life within daily, generational and climatic phases. 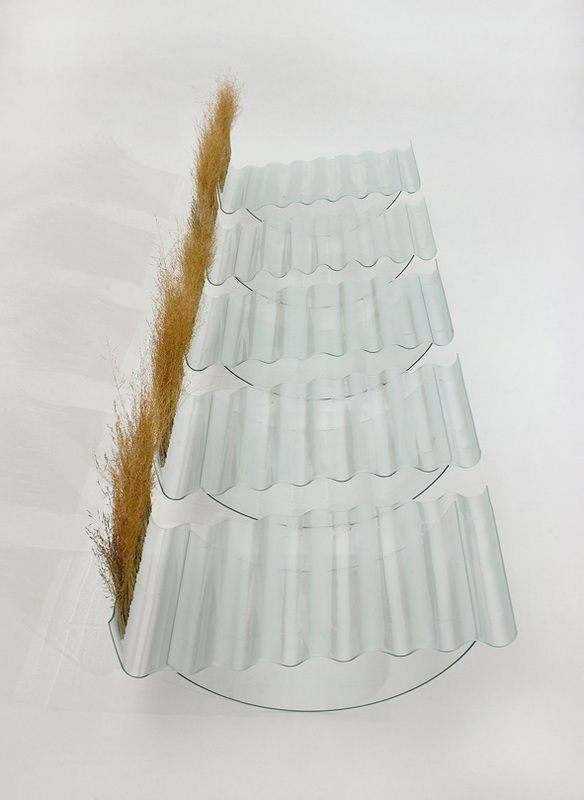 ​kiln formed float glass and grasses. 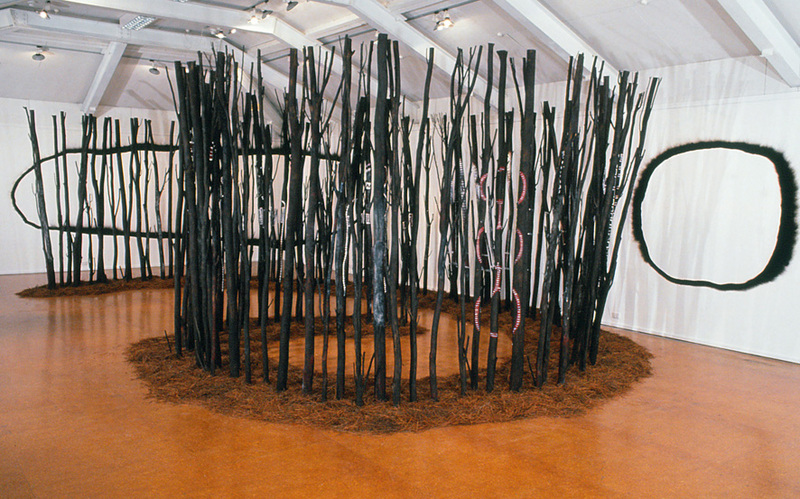 "Landscape for a Hilltop" was first exhibited in 1984 at the Canberra School of Art Gallery. 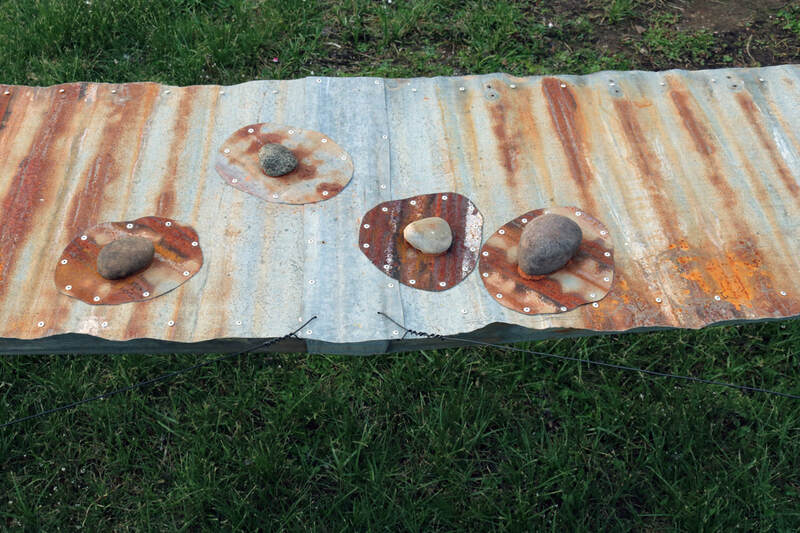 The work is made from steel, found timber, sand, pigment, ash and masking tape. 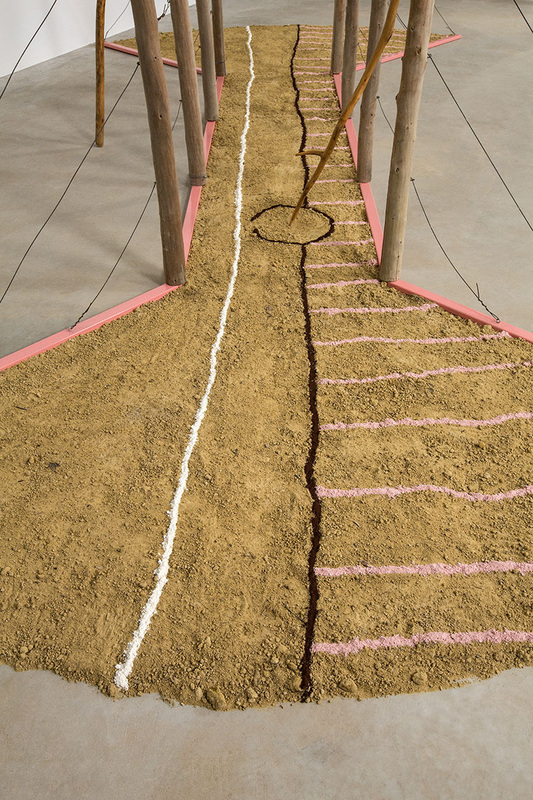 Ideas of the intersection and threshold are alluded to, although obvious passage through the work is over a delicate array of tiny pigment and sand mounds towards a masking tape grid barrier. 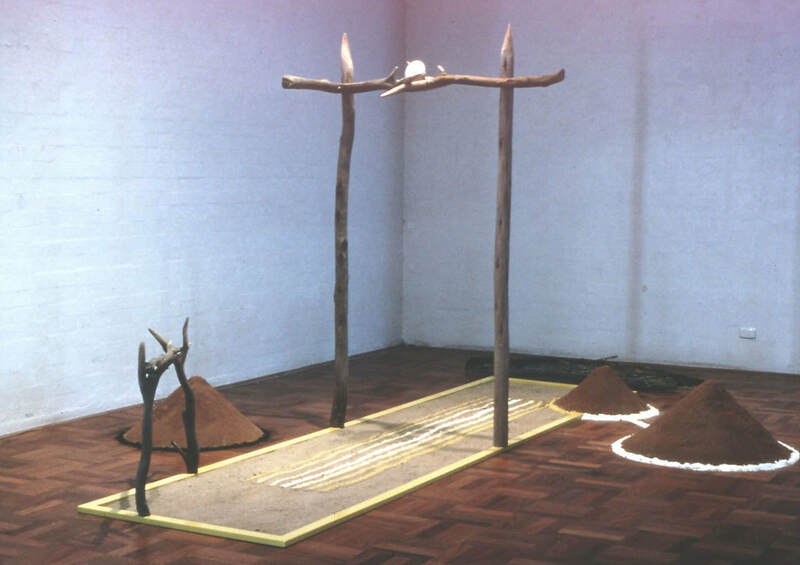 To physically enter the garden-like space of the work would be to destroy it so we are left with the metaphor of passage rather than its literal actuality. 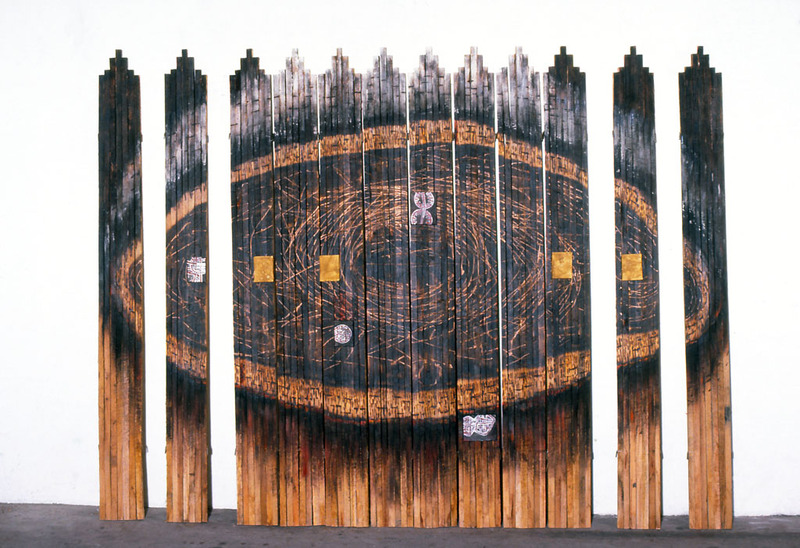 The fence-like sticks to either side of the threshold indicate a division of space while the circular motif of the work reads as two sides of a coin where back/front and inside/outside occupy space simultaneously. A less obvious passage is implied by the ash trail, which moves across and around the central path. The stick used to notate this passage is left as a memento of the journey taken. 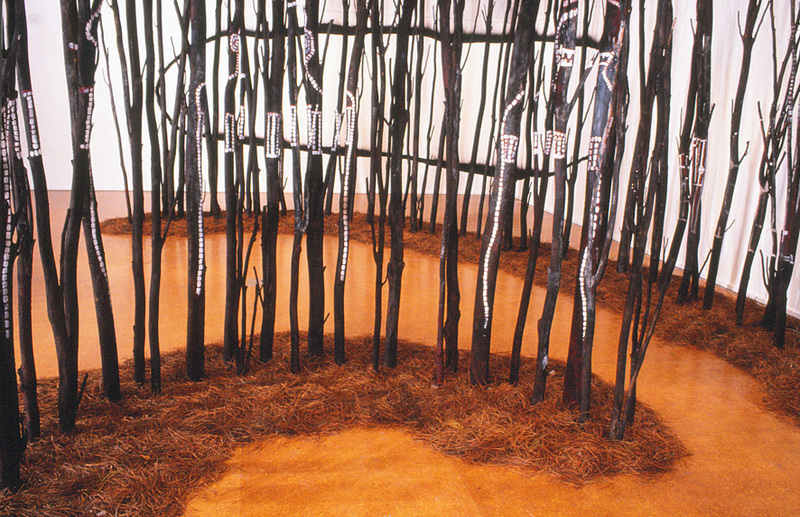 Through works of this time Wendy critiqued the idea of being within landscape and how we can become part of it. 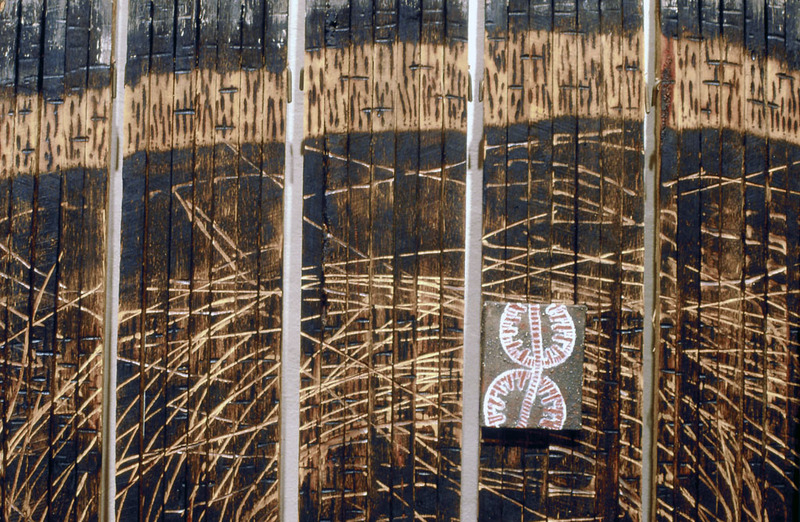 Other works in the series focusing on similar concerns include "Corridor of One", "Landscape Between Two Mountains" and "Square Landscape".